That Is Mahalakshmi starring Tamannaah in the lead role, is about how a young innocent lady transforms into a strong independent woman. The teaser and recently released first song have garnered good response. Amit Trivedi has composed music for this film. The shooting of ‘That Is Mahalakshmi’ is wrapped up and currently the post-production works are going on. The makers will soon announce the release date. Michael Taburiaus has handled the cinematography and Taizoon Khorakiwala is presenting ‘That Is Mahalakshmi’ while it is Manu Kumaran production under Mediente International banner. 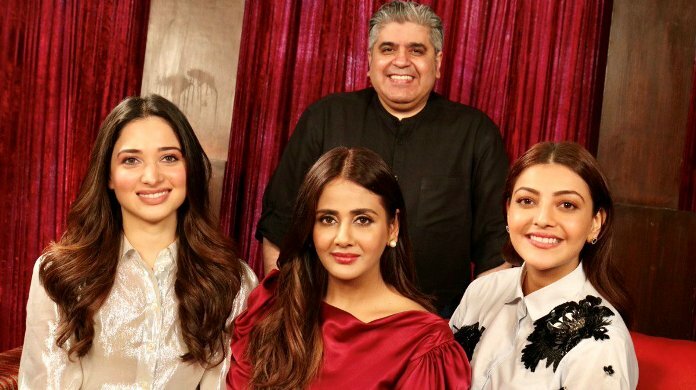 The promotions of the film have kick-started with popular Bollywood film critics Rajeev Masand and Anupama Chopra interviewing Tamannaah and actress Parul Yadav who is the co-producer of the film.